Get something to make music with: Get something to control, like plasq's free/donationware sampler instrument Musolomo. Dig into the research: Check Audiomulch's page for info on P5 research. You've got Melbourne ensemble Simulus to thank. 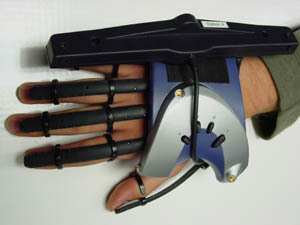 Windows drivers: Windows users will want P5 Glove MIDI. More music & gaming coverage coming soon; there's simply too much to cover here.